When people come together for a cause, incredible things happen. That’s true for St. Baldrick’s head-shaving events AND for the lifesaving work done by St. Baldrick’s researchers, especially the Stand Up To Cancer – St. Baldrick’s Pediatric Dream Team. As they say, teamwork makes the dream work! 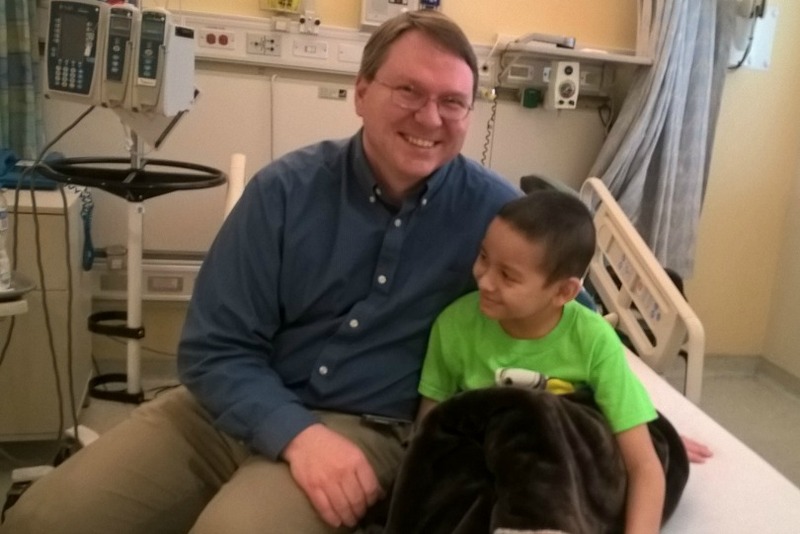 Read on to learn more about how cooperation and sharing between these researchers means big advances for kids with cancer. They say two heads are better than one. But what about 149? That is how many brilliant brains are working together to conquer childhood cancers as part of the SU2C – St. Baldrick’s Pediatric Cancer Dream Team. And it’s that cooperation that’s accelerating progress for kids and laying the foundation for better treatments and for cures, said Dr. Crystal Mackall and Dr. John Maris, co-leaders of the Dream Team. How? By bringing experts from two disparate fields together — genomics, which looks at how genes work, and immunology, which is the study of the immune system. “One of the prime motivations for this SU2C – St. Baldrick’s team was the recognition by Crystal and myself and other leaders that the fields of immunotherapy and the fields of genomics were being developed very siloed from each other and there was not cross-talk and cross-fertilization,” Dr. Maris said. Mitch Carbon was on the verge of death when a Dream Team immunotherapy clinical trial brought him back from the brink. 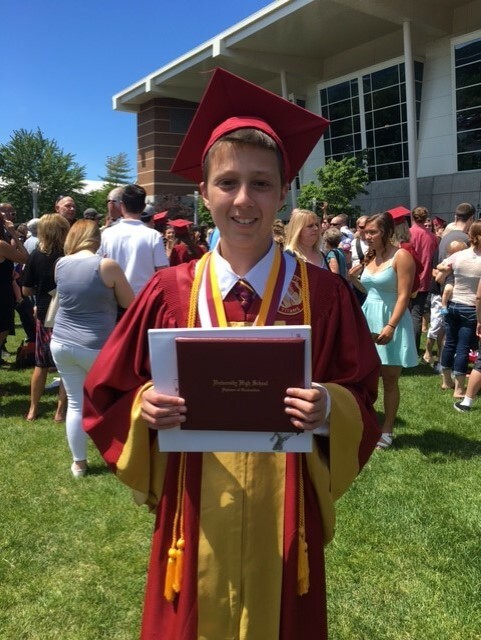 He ended up graduating high school with honors and is now a freshman in college. The Dream Team combats that problem by bringing scientists from those fields together to teach each other about their specialties and share information. “One of, I think, our biggest achievements was to take people like me and teach me immunology and to take people like Crystal and teach her about DNA sequencing and get us to understand each other and then be able to accelerate this combined field of immunogenomics,” Dr. Maris said. Just as St. Baldrick’s supporters from all walks of life come together to make huge things happen at our head-shaving events, cooperation between these different specialists on the Dream Team has produced some big achievements. That includes the advancement of a particular kind of immunotherapy called CAR T cell therapy, which has shown early success in treating relapsed leukemia. “By working together, we’ve been able to accelerate our understanding of this therapy, our understanding of how the tumor can escape the therapy, and our understanding of how to deal with the toxicity of the therapy,” Dr. Mackall said. The Dream Team already has nearly 20 clinical trials open — a massive accomplishment — with almost 500 patients enrolled. Among other work, they are now looking to translate the advancements in treating relapsed leukemia to brain tumors. Plus, they’re studying just how different kids’ cancers are when it comes to immunotherapy and why the immunotherapies that are working in adult cancers will not necessarily work in kids — leading to more research on discovering what will work. Honored Kid Leon was treated on an immunotherapy trial run by Dr. Daniel Lee, a Dream Team investigator and St. Baldrick’s Scholar. Since finishing up his treatment, Leon is healthy and growing like a weed. He just celebrated his birthday. There are a lot of plates in the air for the Dream Team, but the goal is singular. It all comes down to collaborating and cooperating to help the kids. The Dream Team’s work is about bridging the gap between what’s going on inside the tumor and how a child’s immune system responds, and then taking that information to the bedside. Examining that interconnected dance from both sides could very well hold the key to taking childhood back from cancer. YOU are part of the teamwork that makes this Dream Team work. Give today and help fund the best childhood cancer research in the world.